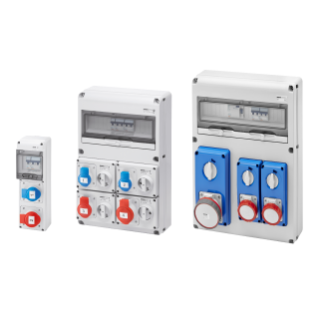 Gewiss is a market leader in the international electro-technical industry. Although based in Italy, it boasts offices, subsidaries, agencies and production sites in more than eighty nations. Gewiss' success derives from its capacity to pinpoint customer needs and create winning company strategies and solutions that meet these needs. 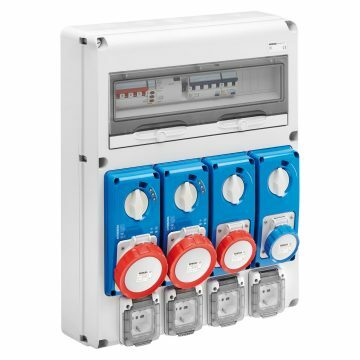 Their mission is to meet consumer needs through innovation and invention and the 68 Q-DIN range of distribution boards are prime example of this company's constant development and ability to find solutions to industrial and domestic electrical needs. Versions from 5 to 20 DIN EN 50022 modules, including supplementary 14 and 20 modules to obtain more DIN space. Pole coupling, wall brackets, transportation handle and mobile support. 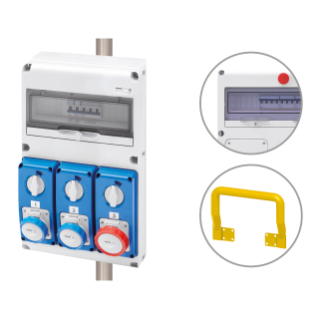 Email or Ring us for more information on the Gewiss 68 Q-DIN Range.